SABOR de POLK - Welcome to the Puerto Rican Hispanic Chamber of Commerce of Polk County! Are you a restaurant,coffee shop , bakery/ sweets , caterer, food truck or chef? Latino and wanting some recognition for your talent? Then signup to our SABOR de POLK competition. Winner will receive a plaque or trophy certifying you as the winner, ONE YEAR Membership to the PR/Hispanic Chamber, an interview on QUE PASA POLK?! and a write up on our blog in The Ledger ,/ "POLK ES MEJOR". Plus bragging rights to being the best in Latin cuisine!  It is very simple just go to www.prhccpc.com and look for the SABOR de POLK page and signup! This years competition will be held at "The Joker Marchant Stadium/ Tiger Town / Publix Field" on April 27th. You can either sign up using this form. At the end of the event the judges being directors of the stadium , special guests , sponsors will have judged your creations. We will announce the winner(s) before the beginning of the game.